Do you need legal capacity to assist your relative’s claim for NHS funding? Arguing “BEST INTERESTS”. Care to be Different > Articles > NHS Continuing Healthcare > Do you need legal capacity to assist your relative’s claim for NHS funding? Arguing “BEST INTERESTS”. We came across a bizarre situation recently which we wanted to share with you. Best interests is all about lack of mental capacity. 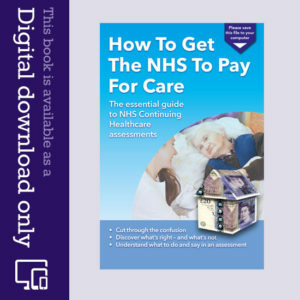 Where an individual does not have mental capacity to consent to the initial Checklist being completed or to a Multi-Disciplinary Meeting to assess their eligibility for continuing healthcare funding, then the NHS National Framework provides that a third party should take responsibility for making a ‘best interest’ decision. The person with that responsibility (known as the” decision-maker”) is the person carrying out the assessment. The decision-maker should consult widely with any relevant third party who has a genuine interest in the person’s welfare, (ie usually includes family, friends, care workers and paid professionals involved in the individual’s care) before reaching a decision as to eligibility for NHS Continuing Healthcare Funding. However, the decision-maker has the ultimate power for decision making. So, where there is a difference of opinion between the decision-maker and those consulted, the decision-maker has the last word if the differences cannot be resolved – and can seemingly override these representations if they consider that it is not in the individual’s best interests. That can be problematic, not to mention emotionally frustrating and challenging, as power is effectively handed to a complete stranger who is inevitably going to be far less familiar with your relative’s health needs compared to immediate family members. A Multi-Disciplinary Meeting had been arranged to assess an individual’s eligibility for NHS Continuing Healthcare Funding (CHC) – let’s call her “Mrs X”. Prior to the Multi-Disciplinary Meeting, Mrs X’s husband had instructed a specialist CHC nurse to assist with the process and to act as an advocate for his wife. As part of the process, the nurse advocate asked the care home for prior access to Mrs X’s various care home notes and records. Mr X produced a Lasting Power of Attorney (LPA) for Property and Financial Affairs, but didn’t have a corresponding LPA for his wife’s Health and Welfare. The care home tried to cancel the Multi-Disciplinary Meeting. They stated that the LPA for Financial Affairs gave insufficient authority for the nurse advocate to attend the MDT. After some argument, the care home conceded that the nurse advocate could attend the Multi-Disciplinary Meeting. However, this concession did not go far enough! The care home still refused the nurse advocate access to Mrs X’s care records! The care home said that as these records related to Mrs X’s ‘health’ matters, the LPA for Property and Finance was irrelevant, and insisted on seeing an LPA for Health and Welfare in order for the nurse advocate to access the care home records. How could that outcome possibly be in Mrs X’s best interests? Without seeing all the relevant care home records, how could the nurse advocate properly assist with a review of the matter, and assess whether Mrs X would meet the criteria for NHS Continuing Healthcare Funding? It was clearly in Mrs X’s best interests for all the relevant records to be released – how could it be otherwise? As the decision on eligibility for CHC funding had a financial outcome as to whether care home fees should be payable, it was argued that the LPA for Finance was absolutely relevant! Numerous attempts were made to contact the care home to discuss the matter, but without success. Eventually, the care home finally relented under the’ best interests’ argument and all the records were made available so the assessment could be conduct fairly and the family be properly represented. Paragraph 48 of the NHS National Framework defines “Best interests”: “An act done or a decision made, under this Act for or on behalf of a person who lacks capacity must be done, or made in his or her best interest”. Overriding objective: Therefore if a person lacks the mental capacity to either give or refuse consent, one has to look at the ‘best interests’ of the individual. TIP: So, if you have not been consulted, raise your objections immediately and ensure your views should be considered! “5.7 Where the individual lacks mental capacity to consent to sharing personal information a ‘best interest’ decision must be made regarding the need to share information with relevant 3rd parties. Under normal circumstances information sharing between professionals regarding a person who lacks capacity can routinely occur as a best interest decision, subject to any local information sharing protocol that may be in place. 5.8 Anyone who holds information regarding someone who lacks mental capacity has a responsibility to act in that person’s best interest and this can extend to sharing that information with relevant 3rd parties in appropriate circumstances. 5.9 There are some circumstances where information must be shared with a 3rd party e.g. where they have a registered Lasting Power of Attorney (Welfare) or are a court appointed Deputy (Welfare). the information which is shared should only be that which it is necessary in order for the 3rd party to act in the individual’s best interests. Subject to the above principles, information should not be unreasonably withheld. someone with an LPA (finance), Deputyship (finance) or a registered Enduring Power of Attorney (EPA) seeking to challenge an eligibility decision, or any other person acting in the person’s best interests to challenge an eligibility decision”. So don’t worry if you meet with a resistance from the care home, they may not be totally familiar with the NHS National Framework. Stand your ground! An individual (eg a family member) with Lasting Power of Attorney (Property and Finance) seeking to challenge an eligibility decision may legitimately be given information. 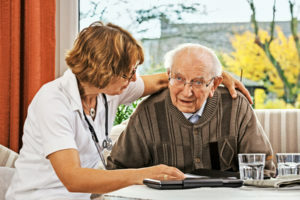 Outcome: based on a ‘best interests’ principles, the care home conceded and agreed not only to the nurse advocate attending the MDT, but also to providing her with all relevant records – to enable her to review and assess the individual’s eligibility for Continuing Healthcare Funding, and properly represent her interests at the Multi-Disciplinary Meeting. Can I, as Attorney for my parent Finance and Health, be the ‘decision maker’? In theory Yes, but in my experience both are routinely ignored or misunderstood. 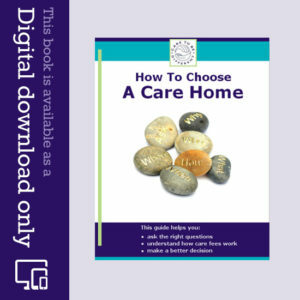 GP and care home knowledge of The Mental Capacity Act is dangerously low. For years, I found out about treatment my relative received after it had been given and often after I had specifically declined some treatments in writing on their behalf as POA. The POA was marked on his records at the care home, along with my contact details, it was noted on his NHS records, and I repeatedly made the GP practice aware of the POAs and presented a total of 4 copies to them. I repeatedly requested a full Psychiatric assessment to establish the extent of relative’s capacity to consent or refuse treatment, food, washing etc etc. It took 4 years, because they couldn’t appreciate the importance of the point. It was eventually established he had zero capacity, but he was still asked to “Consent” to treatments, allowed to decline food and washing, and give entirely inaccurate medical histories to attending GPs. When I put in a SAR request for relative’s medical records from GP, they still asked if I could bring in a letter from relative giving me permission!! All the more reason for having POA for BOTH Health & Welfare AND Financial Decisions – no-one can object!